Gear Vault » Music » Jimi Hendrix – The Greatest Guitarist of all Time? But you are more than welcome to in the comment box below! Music critic Josh Tyrangiel compiled a list of his top ten best guitarists, which included legends such as Eric Clatopn, Jimmy Page, Chuck Berry and BB King. Jimi Hendrix was given the top spot on the strength of his unique fusion of genres such as rock, blues and psychedelia. “No-one wielded a guitar with as much charisma,” Mr Tyrangiel commented. 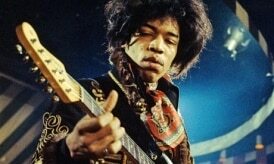 Hendrix, who died from a drug overdose in 1970, was followed in the list by former Guns N’ Roses guitarist Slash, who was described as a “remarkably precise player”. While, blues guitarist, B.B. King took the #3 spot. Rolling Stones guitarist Keith Richards was also included in the top ten, mainly because he has written more memorable electric guitar riffs “than anyone else in rock ‘n’ roll“. Mr Tyrangiel highlighted the hook to (I Can’t Get No) Satisfaction as a good example of this, along with the riffs to, Gimme Shelter, Jumpin’ Jack Flash and Start Me Up. You have to love the way Hendrix plays his right-handed guitar upside-down so fluidly. He didn’t started playing like when he first started learning how to play guitar, yet today we look at that as one of his signature, and unique, trademarks. If you’re not crazy about Time Magazine’s Top 10, then check out Gear-Vault’s Top 20. 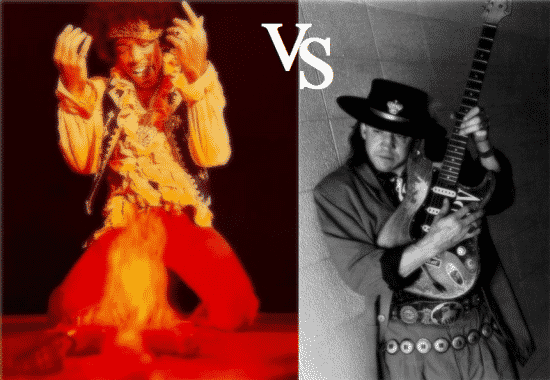 And if you like to fight, check out the Fight Club: Jimi Hendrix vs. Stevie Ray Vaughn — my vote goes to Hendrix winning that fight! I think some of the qualities that made Jimi Hendrix famous in the 1960’s have been forgotten. For example, he was a great musical innovator of the time, combining rythm and lead work. He also made extensive use of guitar pedals, at a time when most people had never even heard a wah pedal before. What’s wrong with Kirk Hammett? you kidding me? slash 2nd?!?!?! above page (his master) and clapton!?!?!?!?! 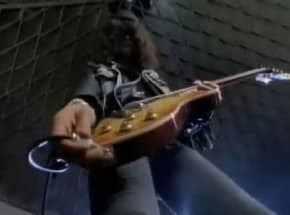 Slash? Seriously? C`mon!! Over Clapton? Whatever!!! Here`s one for you. How many drugs do you need to take to rate Slash as a better guitarist than Clapton? Answer- I don`t know, but it HAS to be A LOT. I can see Jimi at the top, that’s cool. Even though he wasn’t the most technically proficient player on the list, he was an innovator and truly changed the way the instrument was played forever. How Stevie Ray Vaughan isn’t #2 on this I’ll never know. Not as much of a revolutionary as Hendrix was, but SRV changed music by successfully combining rock and blues into something commercially viable and a hell of a lot of fun to listen to. 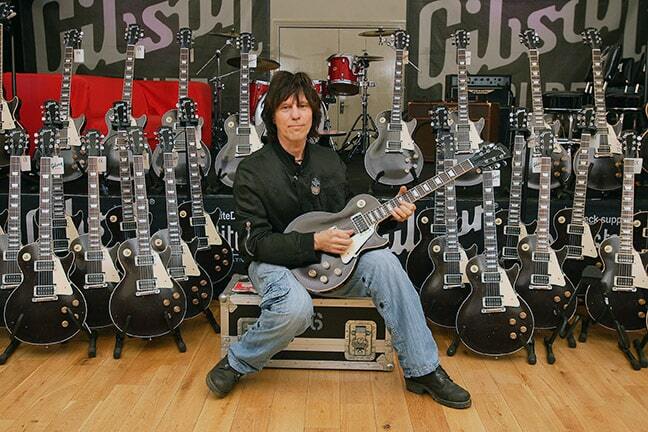 A MUCH more accurate guitarist than Hendrix (and nearly everyone else on this list). If we’re talking about what these people represented as guitarist, Jimi deserves to be #1. If we’re talking skill, and ability to play something that really moves you and speaks to your soul, I could see SRV giving Jimi a run for his money. How Yngwie, Prince, Slash, and Berry got on this list before Stevie is beyond me. They’re all talented guitarist in their own rights (except Yngwie, I hate that guy), but they can’t even play ball with Stevie.